SHINee's "Dazzling Girl" album details! Dazzling Girl is a piano and techno pop song with a simple and fresh melody. Just like its song title, this song represents that heart-beating moment when meeting and falling on love with a dazzling lady. The MV's choreography is also cute and exquisite which is similar to Audrey Hepburn's My Fair Lady. 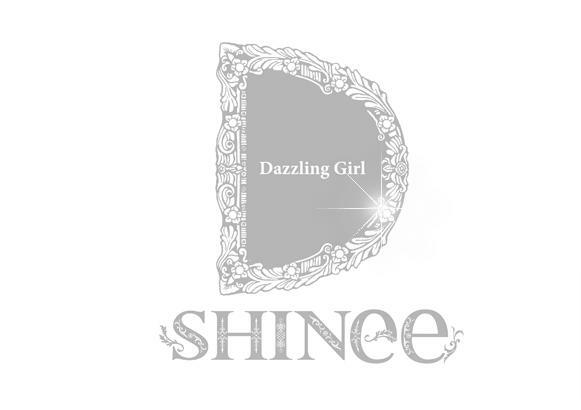 The MV storyline narrates a girl whom because of SHINee transforms into a dazzling girl. The production crew whom participated in this song are quite well-known. Jeff Miyahara did the recording production; Grammy winner Miles Walker whom has worked with Beyonce, did the mixing; world famous Tom Coyne (Sterling Sound) also participated in producing the main single. SHINee's detailed and equisite choreography in the MV is choreographed by S**t Kingz whom has won Body Rock (a very prestigious hip hop dance competiton in San Diego) twice in a row (2010 and 2011). The CD's packaging and MV's outfits, hairstyles are by world acclaimed fashion designer Keita Maruyama. The TV advertisement and CM etc will be produced by the currently active Noboru Tomizawa. Both have also participated in the wardrobe and makeup in the movie "Helter Skelter" starring Sawajiri Erika, will participate in this project and showcase a side of SHINee never seen before. Stylist Yuki Wantanabe whom has worked with Keita Maruyama for his fashion show has also been roped in. Japan's top active creators are gathered together for SHINee which notched up the glamour factor to the new single. The packaging for the limited editon (Type A) is in the form of a "clutch bag" which is super glamourous, a first in the music industry world. This is a first unique attempt by SHINee whom has always been contemporary not only in music and dance but also in setting fashion trends. SHINee has also let the whole of Japan felt their charms with their nation-wide [THE FIRST ARENA TOUR "SHINee WORLD 2012"] (20 concerts in 7 prefectures) since early April this year. Their 2012 first single "Sherlock" released on 16 May has reached No. 2 on Oricon chart and with their 4 singles being in the top 3 since their debut, this has also let one have higher expectations on their new single "Dazzling Girl".